One important step in the setup of WiFi monitoring from the client perspective is the location of the monitoring probes. To correctly choose a location, the wireless engineer has to pre-define the primary goal of the monitoring before the deployment takes place. Is the primary goal to verify that WiFi clients can successfully authenticate and associate to the network, or does the wireless engineer also want to monitor the signal coverage at remote sites? Test WiFi authentication and association Verify that WiFi clients can connect to an SSID, authenticate, and associate with the network, obtaining an IP address. Test Internet service, availability and performance Verify that WiFi clients can connect to the Internet and that download and upload speed are in line with Service Level Agreements previously advertised to users. Wireless engineers that simply want to test WiFi authentication and association (as well as Internet service availability and performance) typically only need to deploy one WiFi sensor per location. This is the simplest use case scenario. A good practice is to have at least one WiFi monitoring sensor per location – the benefit of proactive outage detection and validation of configuration changes outweighs the cost and time spent during the deployment of each sensor. In fact, by having a WiFi sensor at each remote location, a wireless engineer can easily verify that the WiFi network is still working after a configuration change, without having to drive to the remote site to make sure that everything works, or worse, leaving it up to the users to find problems. Also, a remote WiFi sensor will provide real-time and historical data of the wireless performance at the remote location. That data is valuable to proactively detect network problems and troubleshoot performance issues efficiently. 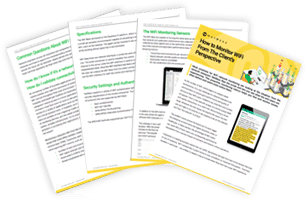 If you want to read more about this topic, feel free to download the free guide on WiFi monitoring from the client perspective. It’s standard practice for wireless engineers to do a site survey at all the sites where the WiFi network is to be installed. The same holds true when WiFi monitoring sensors are deployed. Wireless engineers can use the same information collected during the deployment of the WiFi access points to deploy the monitoring probes. In that regard, the data collected by the WiFi sensors could be used on an ongoing basis to validate the original site surveys performed during the design phase of the WiFi network. So how many sensors do you need per location and where should you install them? The answer, unfortunately, is “it depends”. It depends on the factors that I listed earlier. If you are looking to monitor the signal coverage of your sites, it’s really important that you work with your vendor to pick the locations where the sensors should be installed. NetBeez offers this service to all its customers. 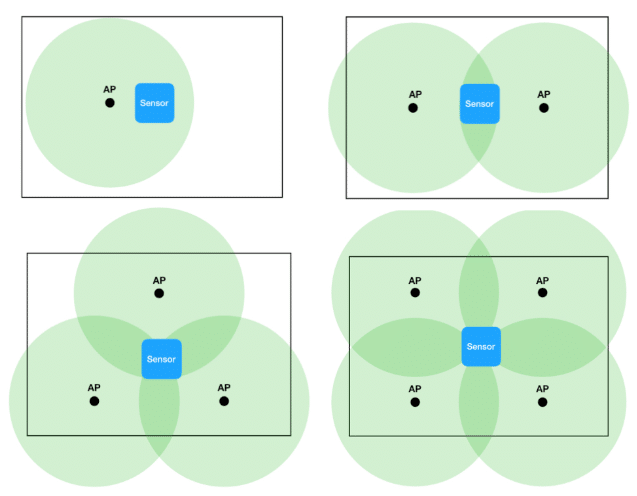 For each location, it’s important to review the current access points deployment map and see how many access points one sensor can realistically cover: one, two, three, and sometimes even four. If you found this post and topic to be of importance to you, you may be interested in learning more about our most recent release! In July, we released version 1.4 of NetBeez, which includes a new WiFi workspace. If you would like to learn more about it, feel free to register for the webinar that we’ll be hosting on August 23, 2018 at 2pm EST.